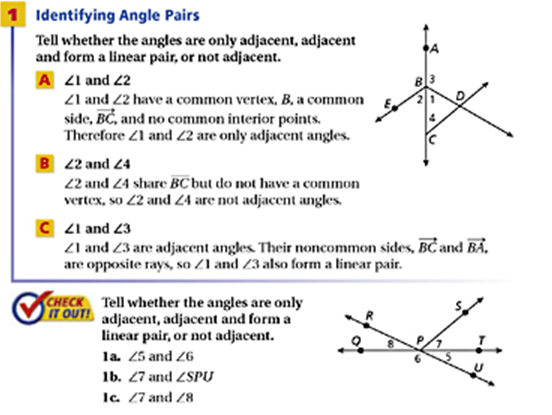 Adjacent Angles - Two angles in the same plane with a common vertex and a common side but no common interior points. Linear Pair - A pair of adjacent angles whose non-common sides are opposite rays. 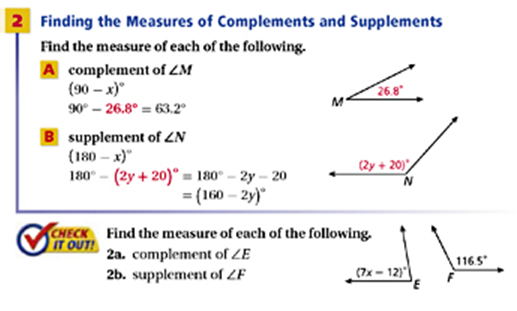 Complementary Angles - Two angles whose measures have a sum of 90º. 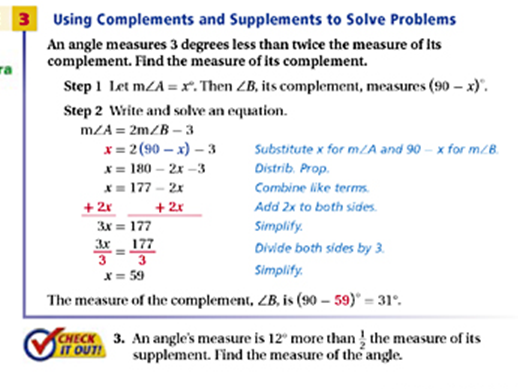 Supplementary Angles -Two angles whose measures have a sum of 180º. Vertical Angles - Two nonadjacent angles formed by two intersecting lines.